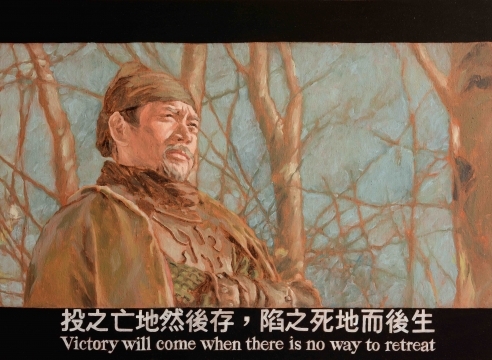 阿甘正传: You got to put the past behind you before you can move on. 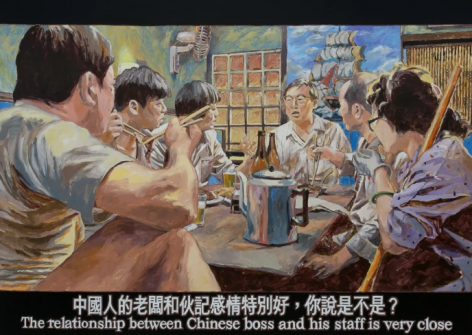 周俊辉生于1980年，曾就读于香港中文大学并获得艺术学士和硕士学位，从事艺术创作10余年。他最近的个展有“每個東西上都有一個有效限期”，凯尚画廊，美国纽约（2016）；“周俊辉：无话可说”，漢雅轩，香港，（2015）,《文化权利 - 艺术家参选的前因后果》，香港科技大学，中国香港（2013）。辉的作品今年也被多家文化机构展出。诸如《中国艺术之旅，希克藏品展》，北布拉班特博物馆，荷兰，（2018）；《进化中的图像：现代香港版畫》，一新美术馆，中国香港（2017）；《香港中文大学艺术系60周年纪念展》，牛棚艺术村，香港；《中国私语》，伯尔尼美术馆，保罗·克利艺术中心，伯尔尼，瑞士（2016）；《聚点：威尼斯》，威尼斯，意大利 (2015);《时间游人》，香港文化博物馆 (2015);光与影 – 卡瓦拉桥意大利巴洛克经典，亚洲协会，香港（2015）；《身是客 - 归来》，香港艺术馆(2015)，《香港眼》，萨奇画廊，伦敦，英国，（2012）；利物浦双年展，英国（2012）. 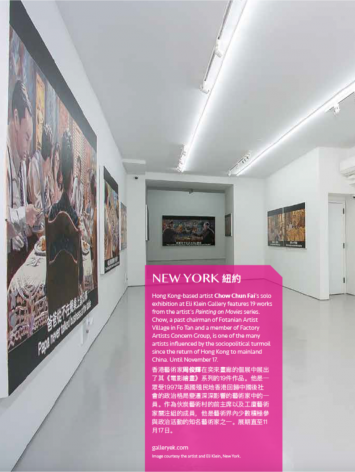 Chow Chun Fai's solo exhibition is featured in Artomity's Fall 2018 Editorial. 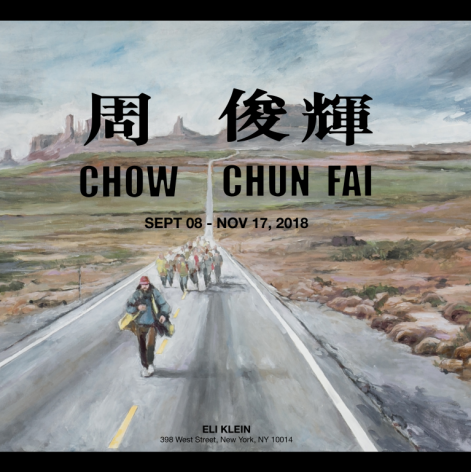 Flavorwire interviews Chow Chun Fai on his solo show at Eli Klein Gallery. 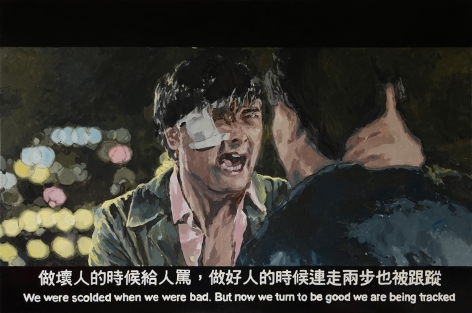 Chow Chun Fai's "Painting on Movies" series at Eli Klein Gallery is featured alongside a list of impressive gallery shows on view this fall. 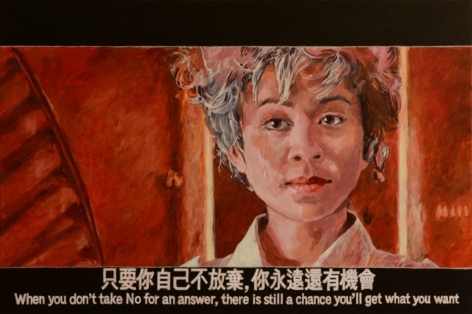 Beyond Chinatown lists noteworthy cultural events and art exhibitions taking place this month.